Have you ever wanted to visit a real live recording studio? Wonder what your radio voice might sound like? Curious about video or audio editing? 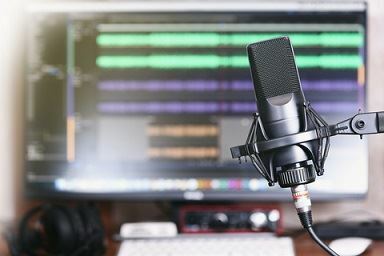 Thinking about starting your own podcast channel? BARN can help you pursue those dreams! Drop by our Media Arts & BCB Studio Sunday afternoons from 12 - 3 and learn more about how you, too, can do audio and video production! We have sound recording equipment, editing workstations, and video production gear. Come and play. Ask questions. Meet like-minded people. Explore project ideas -- or recommend ideas for BCB interviews. Get quick demos of editing or producing. This is a free event. No registration is required, drop on by! The doors will be open, so recording anything serious is out of the question. But do come check us out: who knows -- you might discover a whole new way to get your talents out into the world!